Step 1: Visit the VEX Coding Studio Command Reference site. 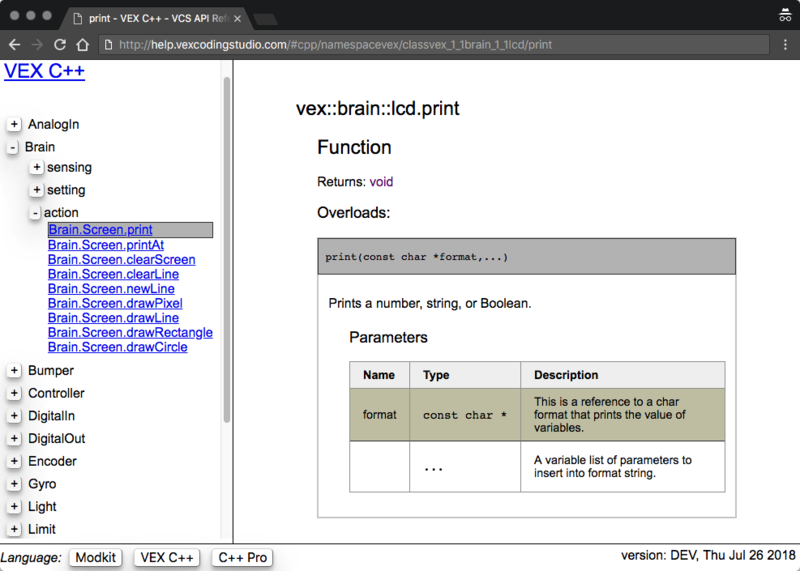 Visit the VEX Coding Studio Command Reference site for a comprehensive reference on all the commands in each language in VEX Coding Studio (VCS): Modkit, VEX C++, and C++ Pro. Step 2: Use the built-in tooltip help as you type. VCS will provide tooltip help as you program, by providing auto-complete suggestions for commands and descriptive text for command usage.